This portrait is somewhat unusual in Manet's ceuvre. It has been dashed off in a few brilliant moments. Being himself the model, the artist could afford to risk extreme stylistic audacity. Practically the entire canvas is in the same scale of tones ranging from ocher to black. Light boldly accentuates the right-hand side of the face, particularly the eye. Manet is even more daring in his sketching in of the hand holding the brush, which, blending into the ocher of the jacket, is highlighted only by the faintest touches of vermilion. He has not even taken the trouble to reverse the mirror image of himself, so that he is seen here painting with his left hand. 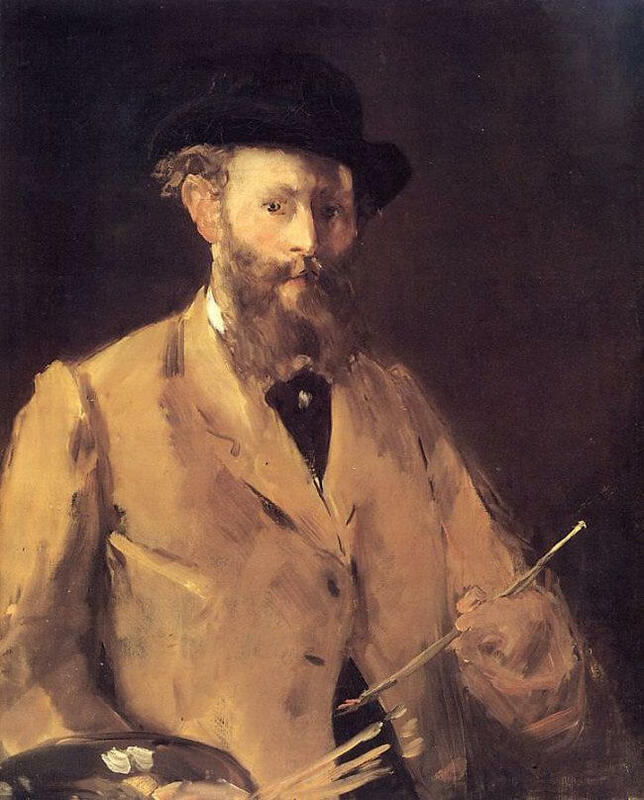 Manet is fair, with a kindly expression, and wears a cravat with a stickpin. As commented by critics Jacques-Emile Blanche: "His slightly husky voice had caressing tones. What struck me most about him was the embarrassing position in winch he placed those who knew him best. He had friends; people liked him, but certainly only very few admired him, and nobody knew what attitude to adopt when people spoke of him. They did not believe in him very much. Monet and Renoir may possibly have admired him."